All our fish is delivered in sealed eskies for next day delivery. 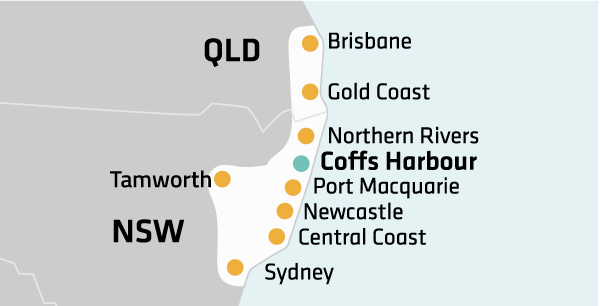 Our delivery area currently covers the following locations from Sydney to the Sunshine Coast. If you don’t see your location below, check back soon as we are constantly working towards adding new areas and states. Get in touch for more information.